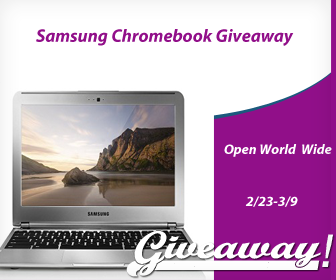 Winners outside the USA will receive a Paypal or Amazon equivalent in place of the Samsung Chromebook no exceptions. Giveaway ends on 3/9 11:59 PM EST. For your chance to win simply enter via the RC below. Remember the more tasks you do, the more chances of winning!